La Palazzola winery is in Vascigliano, near Terni, a bright pink building once a very important Roman Villa. The winery is not sign posted and to reach the estate you have to find your way through vines and olive trees: a bit of a mission considering that these are the only things you can see when you drive there! Stefano Grilli is the owner: a nuclear scientist, who in 1970 inherited the property and decided to start making wine, rather then selling the grapes, as the family used to do. There are 13 varieties over 30 hectares ranging from 15 to 25 year-old vines. It is in 1992 that Stefano’s first production of sparkling wine Traditional Method started, at first from Riesling grapes, today the best expression of his work. The nature of the soil, mainly limestone and clay (marl) offer an unprecedented acidity to the wine. Stefano uses the “Method Ancestral” where natural sugar and carbonisation, generated during the first fermentation, are kept for the second fermentation in bottle. After a 4/5 months in stainless steel vats, with regular stiring of the sediments, the wine is bottled with the only addition of selected yeasts. He believes that this method prevents any oxidation of the wine. This method today is officially recognized and distinguishes his wine from other producers. Terre Margaritelli is an organic winery perched on top of a hill in Torgiano area (Perugia) land of one of the first Docg in Italy (1968). 52 hectares dedicated to Sangiovese, Cannaiolo, Trebbiano, Grechetto, Cabernet Sauvignon, Merlot and Chardonnay. 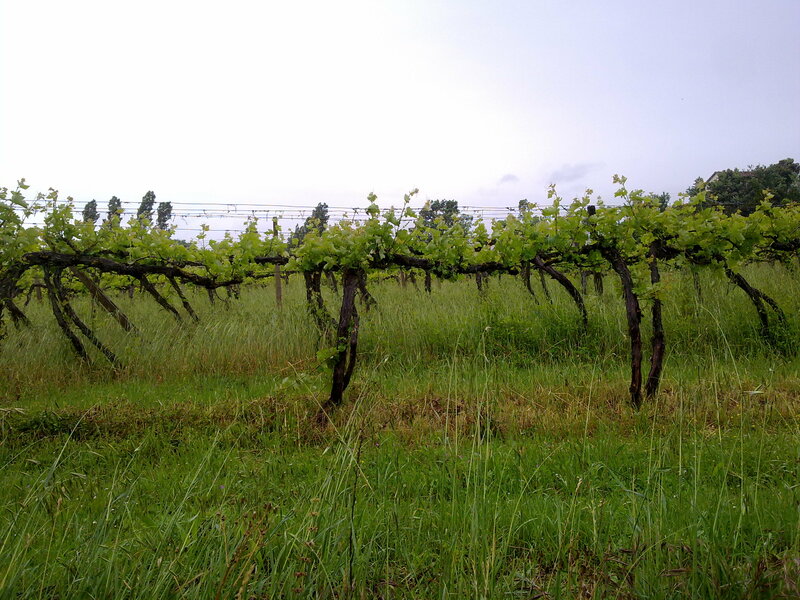 Grass is allowed to grow freely in between the vines to be mulched afterwards for organic compost. 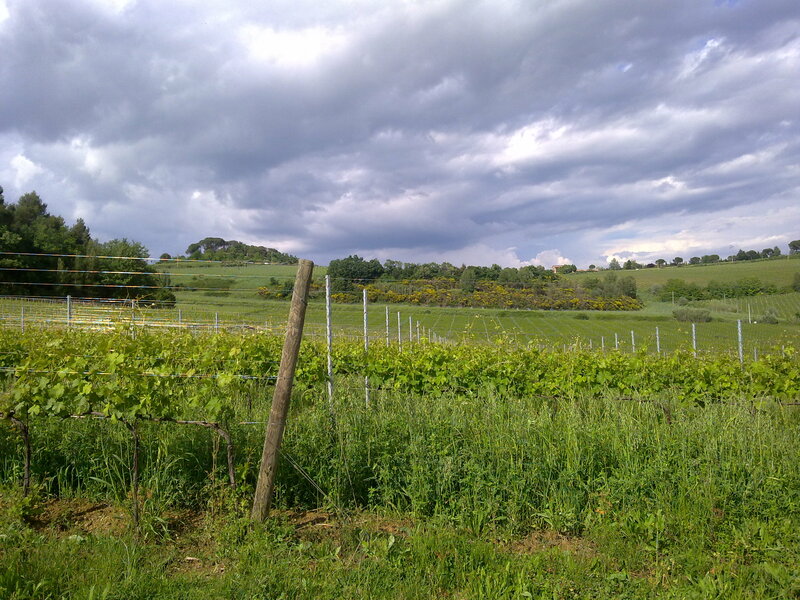 The estate vines are unusually found in one huge field, with a soil characterised by clay and stone. Yeasts selected from their vineyards are used during fermentation, the work was conducted in collaboration with Perugia University to maintain the varietal identity of the vines. My great surprise was their 100% Sangiovese Freccia degli Scacchi, Torgiano Rosso Riserva 2009, from the colour (a real Sangiovese!) the aromas at the nose and the balance at the palate, very difficult to archive with Sangiovese grape often described by many as “schizophrenic!”. 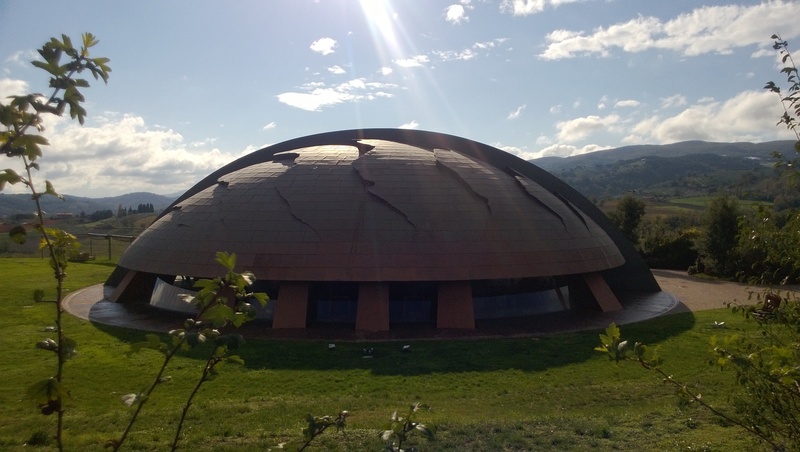 This outstanding winery is “Castebuono” Estate in Bevagna, near Perugia, a living sculpture called “Carapace”created by one of the most important contemporary Italian artists of our time: Arnaldo Pomodoro. Set amongst the Sagrantino vineyards, it resembles the shell of a tortoise emerging from the ground, overlooking the valley. It is a extraordinary piece of art where the role of sculpture and architecture are not clear anymore and one relies on the other without any separations. 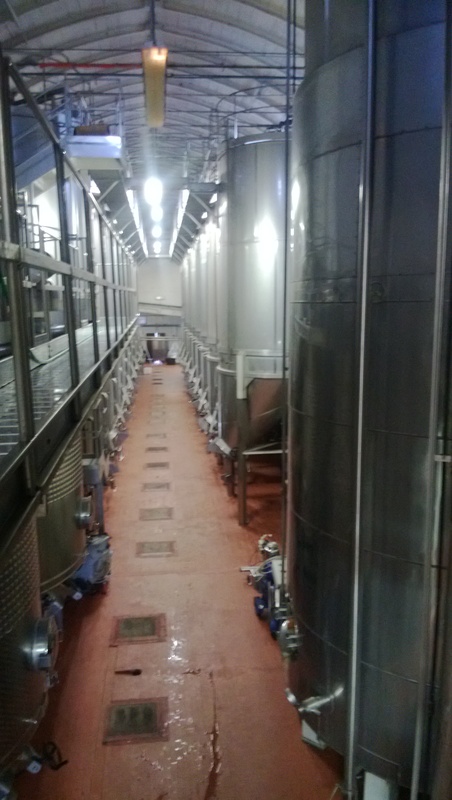 The upper level is a main open area with a staircase leading to the lower part, the winery, together with all the barrels. A true wonder to be seen. The Lunelli group owned the winery, the same family of Ferrari sparkling wines Traditional Method in Trentino. If there is a winery in Umbria which more then any other represents the symbol of innovation and the future of wine making, then this is Lungarotti Estate, based in Torgiano near Perugia. Giorgio Lungarotti in the early ’60s established the base for a new notion of wine making, in a region where wine was made for personal consumption and had no significance to the outside world. Giorgio’s goals, together with his wife Maria Grazia, were to establish a revolutionary concept of wine making, unknown to the region, open to the future, in line with a growing market. Today the Estate is run by their two daughters, Chiara and Teresa, who continue the family tradition with the same passion and strength. Two and a half million bottles of wine made every year, are the result of a commitment with no compromise. Visits are possible all year around, together with various activities linked to the wine industry. The Lungarotti’s Foundation supports cultural events, publications and two museums dedicated to wine and olive oil, unique in their own kind. This is certainly a must if you planning a trip to Umbria.